Series Engine is the quintessential WordPress sermon series plugin. You can organize and input your sermons in whatever order you want. It also plays well with the Divi WordPress Theme. 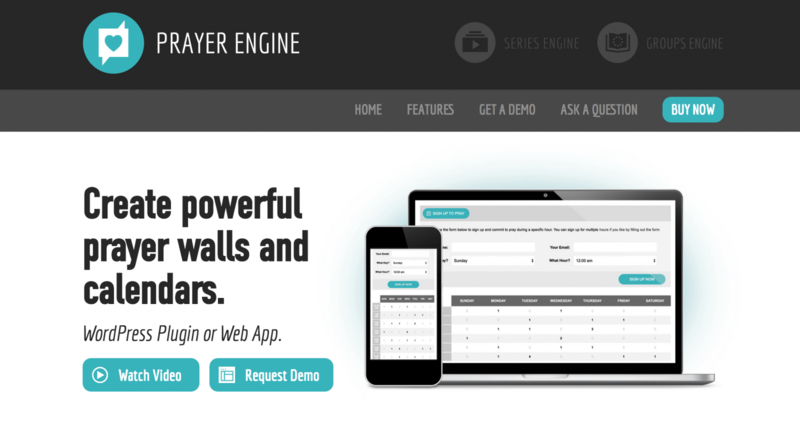 Prayer Engine is robust WordPress plugin for managing your prayer requests and prayer ministry. Now featuring unlimited Prayer Focus calendars so that you can help your people pray together. 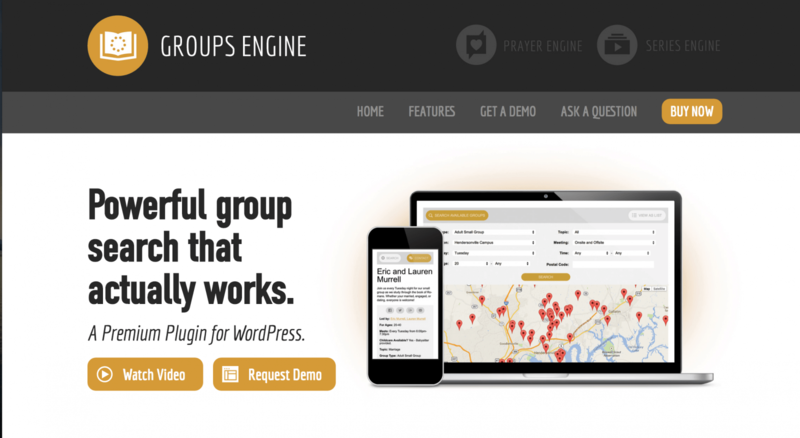 Groups Engine is a WordPress plugin to help you organize, search for, and display your small groups. You can even let users contact their small group leaders.